For a wide variety of reasons, Winston Churchill is one of the most fascinating figures in recent history. His life so definitively embodies the process of becoming a great leader. 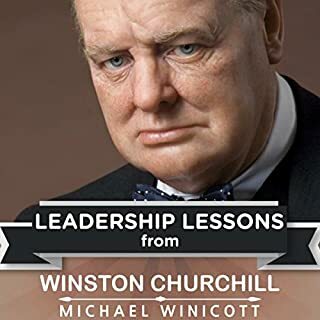 This book aims to teach those interested in the subject of leadership many lessons Churchill's life has to offer. It begins with a brief overview of the great man's life story, ranging from the aristocratic, but often challenging, circumstances of his birth and early life to the height of his power and his subsequent decline. Brilliant! Only Churchill could have done this. 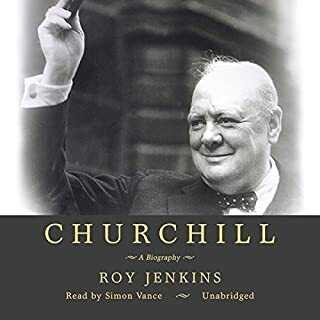 In Churchill, Johnson applies a wide lens and an unconventional approach to illuminate the various phases of Churchill's career. From his adventures as a young cavalry officer in the service of the Empire to his role as an elder statesman prophesying the advent of the Cold War, Johnson shows how Churchill's immense adaptability combined with his natural pugnacity to make him a formidable leader for the better part of a century. John Churchill, the Duke of Marlborough (1644-1722), was one of the greatest military commanders and statesmen in the history of England. Victorious in the Battles of Blenheim (1704) and Ramillies (1706) and countless other campaigns, Marlborough, whose political intrigues were almost as legendary as his military skill, never fought a battle he didn't win. Marlborough also bequeathed the world another great British military strategist and diplomat, his descendant, Winston S. Churchill. Long, but what a story! At age 24 Winston Churchill was utterly convinced it was his destiny to become prime minister of England one day, despite the fact he had just lost his first election campaign for Parliament. He believed that to achieve his goal, he had to do something spectacular on the battlefield. Despite deliberately putting himself in extreme danger as a British army officer in colonial wars in India and Sudan and as a journalist covering a Cuban uprising against the Spanish, glory and fame had eluded him. 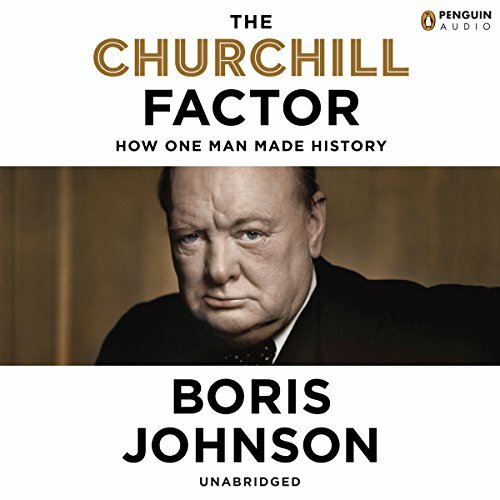 From London's inimitable mayor, Boris Johnson, the story of how Churchill's eccentric genius shaped not only his world but our own. Fearless on the battlefield, Churchill had to be ordered by the king to stay out of action on D-Day; he pioneered aerial bombing and few could match his experience in organizing violence on a colossal scale, yet he hated war and scorned politicians who had not experienced its horrors. He was the most famous journalist of his time and perhaps the greatest orator of all time, despite a lisp and chronic depression he kept at bay by painting. His maneuvering positioned America for entry into World War II, even as it ushered in England's post-war decline. His open-mindedness made him a trailblazer in health care, education, and social welfare, though he remained incorrigibly politically incorrect. Most of all, he was a rebuttal to the idea that history is the story of vast and impersonal forces; he is proof that one person - intrepid, ingenious, determined - can make all the difference. I have been fascinated with Winston S. Churchill since I was a child. I try to read everything I can find about him. I was shocked to read in the book that the young people in Britain do not know who Churchill was. Johnson said he wanted to write about Churchill in such a manner as to bring Churchill to the attention of the young. Johnson thought the young might enjoy Churchill’s eccentricity. This book is written by the current Mayor of London. The element of self-identification in Johnson’s writing is too obvious to ignore. This book is not just another biography. Rather, it is a series of polemics in which Johnson takes up the cudgels against Churchill’s critics. One of the allegations against Churchill is that he wasn’t very nice to the little people in his life. That in private he was a mean-spirited and short tempered. Johnson relays a story to rebut this charge, told to him by Nicholas Soames, Churchill’s grandson. 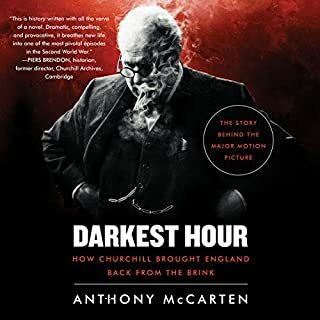 Johnson also discusses the accusation that Churchill was an unprincipled opportunist and he also addresses the charge of incompetent leadership during World War One that led to Gallipoli. 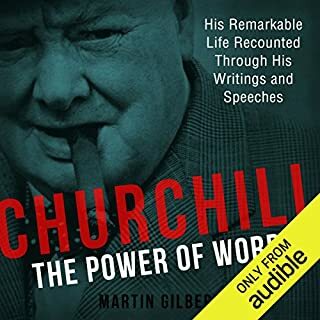 Johnson also discusses Churchill’s literary output and explains how Churchill managed to fit all this into a busy life. Johnson has created a canvas of more than just World War II but also looks at Churchill’s contributions in the Boer War, WWI and the period leading up to the start of the European Union and shown how, at each point, Churchill’s contributions were essential to Britain’s victories or were ignored by those in power resulting in decisions that left Britain far worse off than it could have been. Johnson also addresses Churchill’s work on behalf of the working poor in the UK, his efforts to improve the living and working conditions of the poor throughout the British Empire. The book is written with wit, and reveals fascinating nuggets of information I found fascinating. I believe Johnson has been successful in his defense of Churchill as a uniquely great man. Simon Shepherd narrated the book. This is a near-flawless book in measuring, in an erudite yet conversational manner, the near-majesty of a man who played a leading role (arguably the leading part) in maintaining the course of the free world and altering evil in the 20th Century. I was hesitant, but Mr. Johnson was able to draw me into his scholarly chat, unlike the historians who can cure any insomniac. 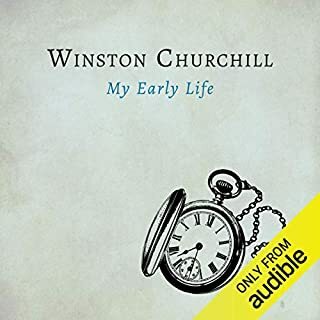 I have read three biographies of Winston Churchill, one of them (by William Manchester) was itself three volumes, so I was not sure there was much about his life that was there to be learned and had some hesitation about buying this book. But Boris Johnson, who is himself an interesting politician with an even more interesting background, has written a book which is not a biography but a book about what made Churchill capable of being the one man who saved Western Civilization from the horrors of Nazi Germany. Thus Mr Johnson looks at the things that made Churchill who he was and how those characteristics contributed to the one person who was essential at a truly pivotal moment. But Mr Johnson has created a canvas of more than just World War II and looked at Churchill’s contributions in The Boer War, World War I, World War II and the period leading up to the start of the European Union and shown how, at each point, Churchill’s contributions were essential to Britain’s victories or were ignored by those in power resulting in decisions that left Britain far worse off than it could have been. Indeed, while Churchill and World War II are at the core of how people remember Churchill Mr Johnson spends a great deal of time covering Churchill’s work on behalf of the working poor in the UK, his efforts to improve the living conditions of the poor throughout the British Empire, his efforts to secure a united and peaceful Europe after the war and much, more more. As part of this we are treated to many stories and anecdotes, both true and false, about Churchill’s life, we look at what helped make him the person he became and how the world we are living in today is largely his legacy. The book is amusing at times, sorrowful at others but always interesting. 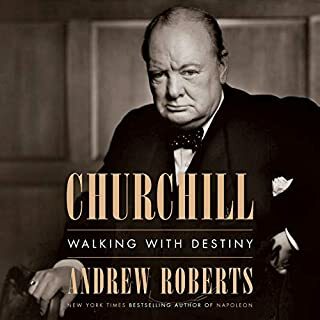 The book is not an academic approach but is clearly a work of admiration for a truly great man and Mr Johnson makes the case that there was no one else who could have taken Churchill’s place, at least during World War II, and that had he not been who he was the world we live in today would be very, very different. The book is narrated by Simon Shepherd who does a very good job. Highly recommended for those with an interest in recent British history. A great insight into the life of a man who shaped the world for freedom and democracy to which I am an heir. A lot of history books just like to recite facts. But this book not only talks about what happened but also talks about why it happened. The why is the most important thing of any sort of history book. A really great book. I've listened to it twice already. Mr. Shepherd has picked up on the writer's glib style and transferred it to audio perfectly. Besides the interesting story, I was impressed with the author's personality. Reader's performance is superb, it may be better to listen to this book than read it. Johnson does such a great job sorting through the truth and the myth of Churchill but this book is so much more. I learned his motivations, complicated though they were for way more than just his wartime exploits. Johnson gives us the sense of why Churchill thought the way he did and the compassionate history of his relationships and striving to overcome the ordinary. I learned things I would have never known about Winston and Britain and the US for that matter had I not experienced this book. One of the best Churchill reads and roads I've toured. Excellent writing style, insights and fair judgments cincerning one of the world's greatest and most complex heroes.